Show off your sassy style and favorite cocktail with the Mary Frances Cosmo Martini phone crossbody. 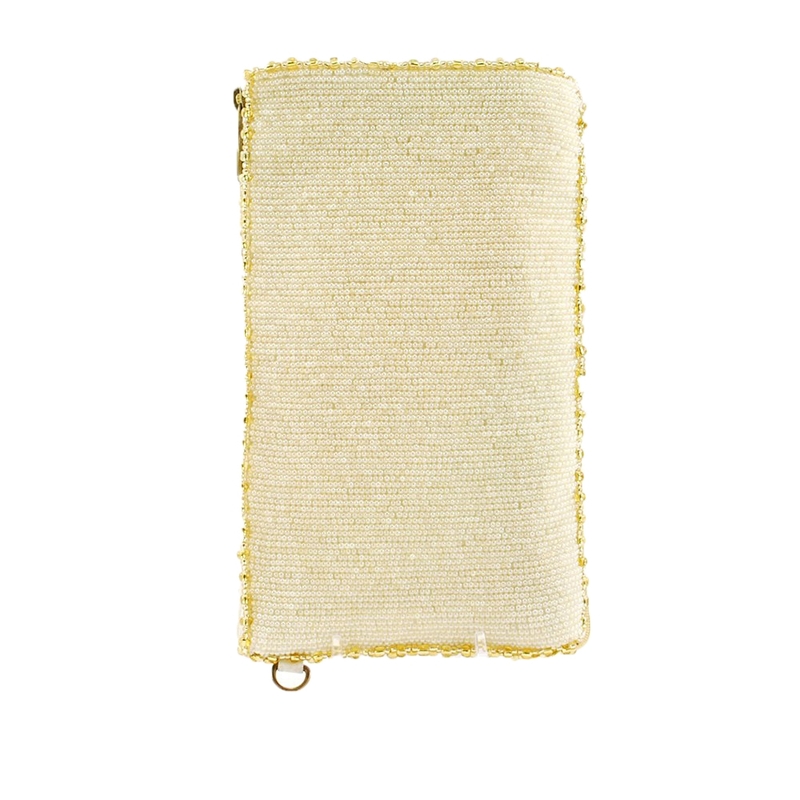 Perfectly sized to fit your phone, cards, cash... Everything you need on the go in a compact size. Fits iPhone Standard and Plus sized models and similar sized phones. 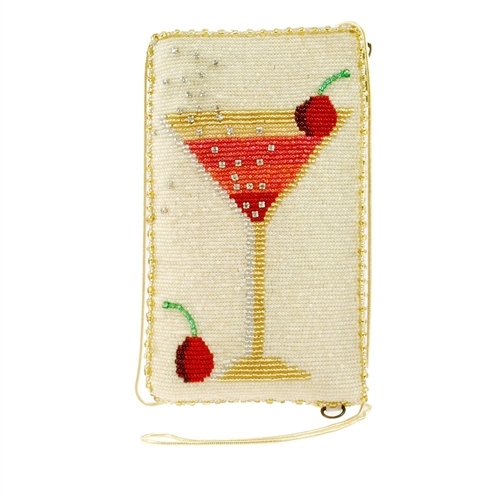 Fully beaded iPhone crossbody bag. Front features a cosmo martini & cherry graphics. Fits iPhone X/8/7 Standard & Plus sized models and similar sized phones. Features side zip compartment. Removable crossbody strap, 22" drop. 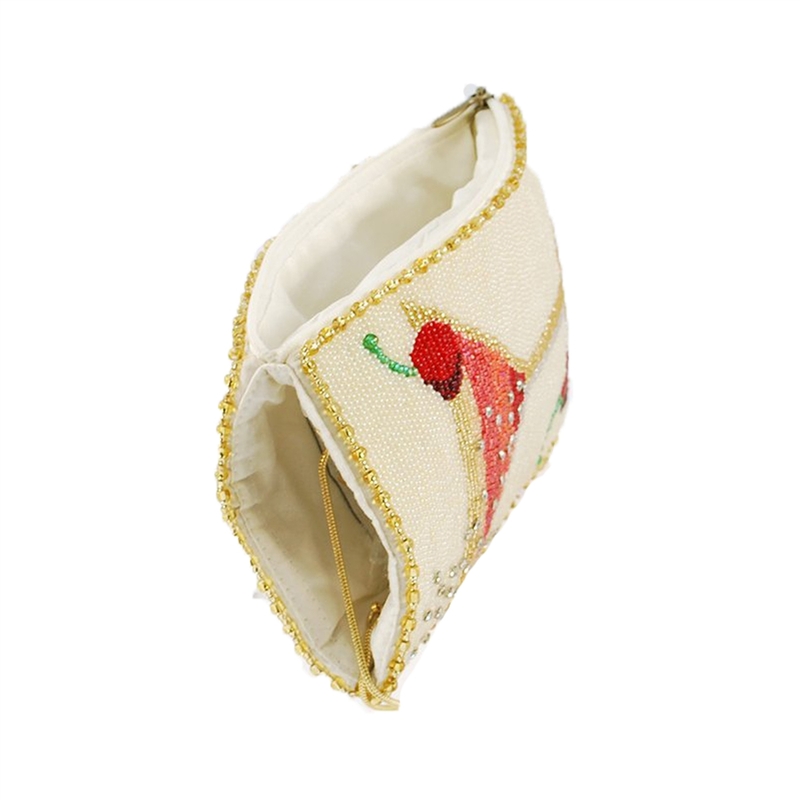 Each unique piece is handmade by skilled artisans.